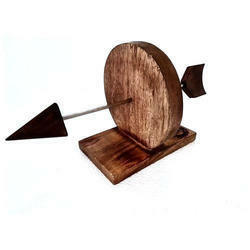 Wooden Arrow Tikka Kebab Serving Dish, Size: 8"x 5" X 7" And 8"x 5" X 7"
Size: 8"x 5" x 7", 8"x 5" x 7" ,8"x 5" x 7"
In order to retain remarkable position in this industry, we are providing a wide array of Horn Wooden Bowl. 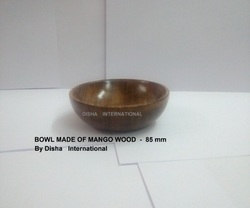 We are a well-renowned organization in the industry to provide our patrons the best quality array of Wooden Bowl. The three CAPSULE dishes also happen to be three things in one: minimalist, decorative and practical. Each is an eye catcher in its own right, but together they blend into an elegant ensemble. One of the bold design features is the use of contrasting materials: the two lower elements are painted; the cover is of solid wood.